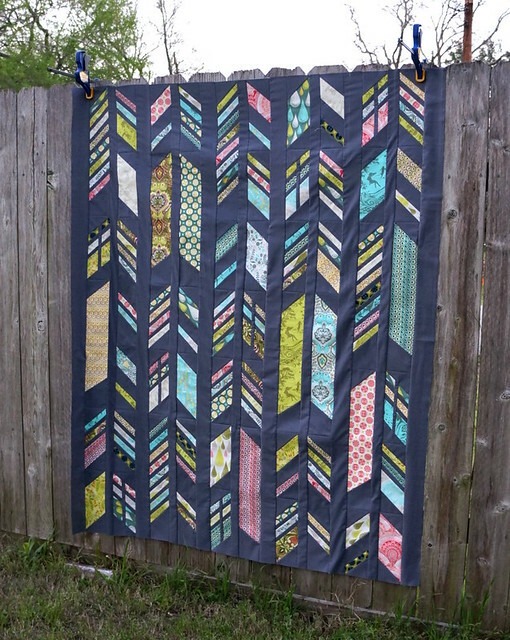 I finished my Feathers quilt-along top! Woohoo! The paper is still on the back of each block, which is why it looks a little ripply at the moment. I'm not looking forward to tearing all that paper off, that's for sure! I think I know how I want to quilt it, though, so I should probably get started on that. 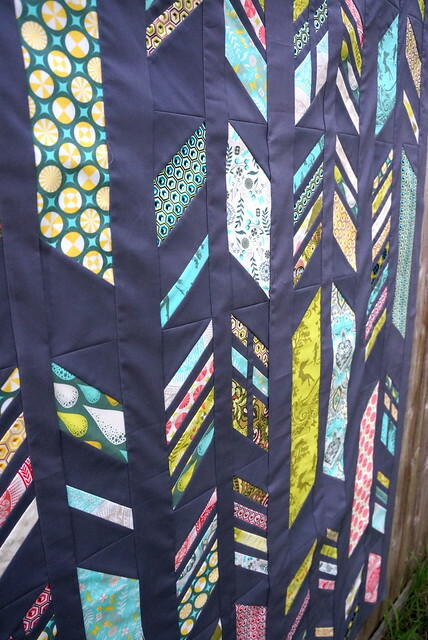 All in all, this was a pretty fun quilt to put together. 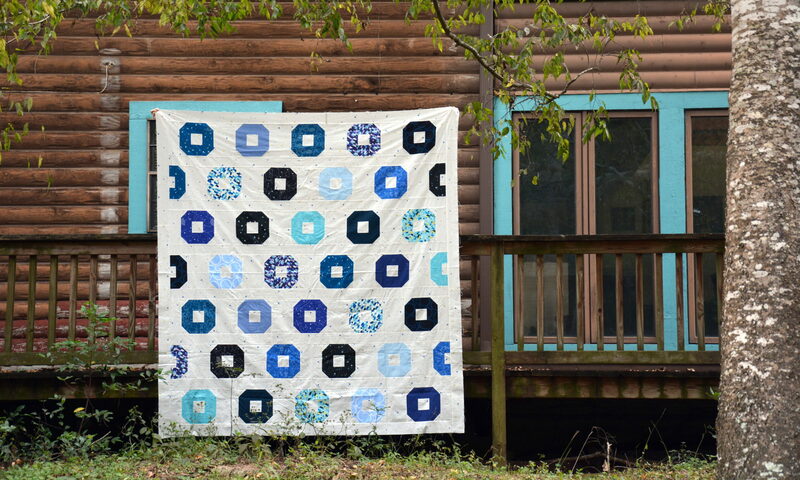 I'm not sure that I'd do another full quilt that requires paper piecing thanks to the work it takes to rip all of the paper off, but who knows. I'll probably forget all that trouble and do it again anyway. Especially for something like these fun stars!